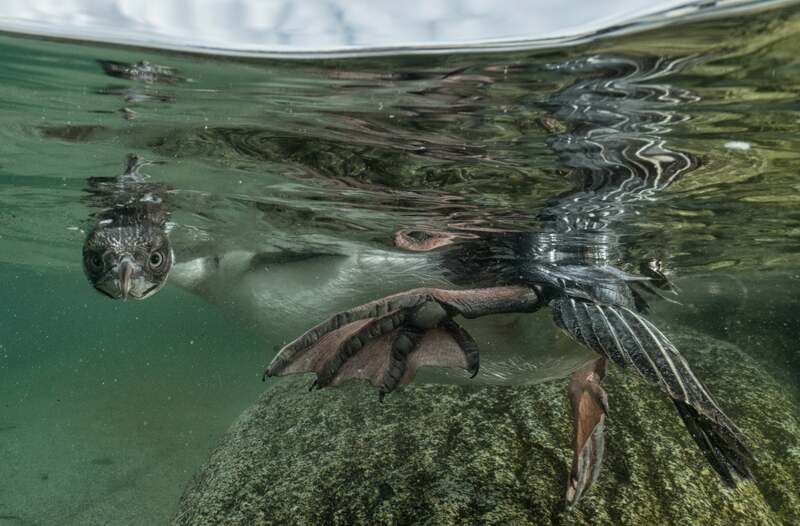 Cristina Mittermeier is a photographer on a mission. As a conservation photographer, she works tirelessly to protect the oceans, endangered cultures and wildlife that is in danger of disappearing from the face of the planet. She’s also a Sony Artisan Of Imagery and a mentor in the inaugural Alpha Female Creators In Residence program and she's the co-founder of the SeaLegacy organization, which aims to engage people in ocean conservation through storytelling. Did you see the images made by Sony Artisan Of Imagery Cristina Mittermeier that were selected for National Geographic's Top 100 of 2018? “I thought it was another photographer who was working nearby, but when I looked I realized it was one of the shag chicks." This year, two of Mittermeier’s photographs were chosen by National Geographic for their list of the 100 best photos of 2018. Both taken in Coverville in the Antarctic Peninsula during an assignment for National Geographic, the photos are part of a story showing the alarming rate of climate change in the region. We connected with Mittermeier, who was on assignment in Dominica at the time, to learn more about the assignment and how she made the images. Mittermeier’s main job on the assignment was to make “split-images," photos taken in the water showing half underwater and half above the water, of the wildlife. She shot primarily with a Sony α7S II and Sony α7R II and the Sony 16-35mm f/4 lens. Wearing a drysuit and housing her cameras in Nauticam underwater housings, Mittermeier was in the water for up to eight hours every day. Mittermeier ended up spending several hours with the baby blue-eyed Shag, capturing it swimming and diving in the water. Flying seabirds like these shags are threatened along the Antarctic Peninsula as excessive fishing puts their food sources at risk. The same goes for crabeater seals, who despite their name, mostly eat krill. 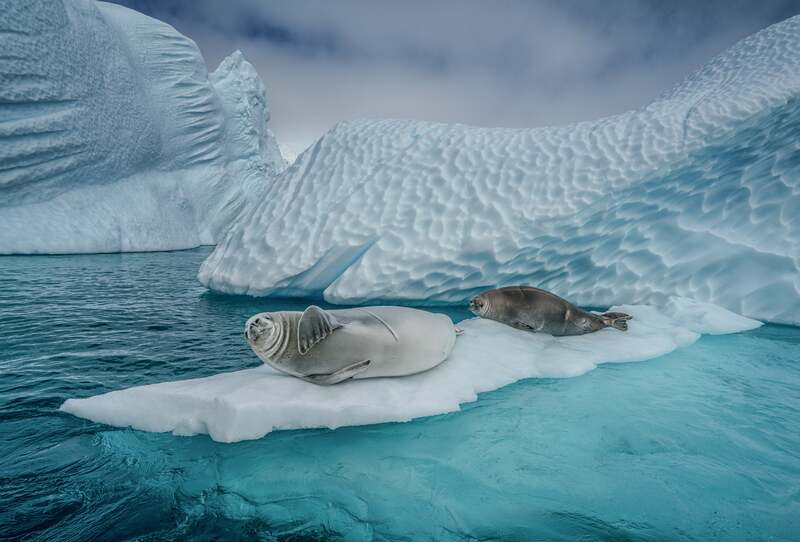 In this photo, Mittermeier captured two crabeater seals on a small piece of ice. The crabeater seals use these small icebergs to rest and hide from predators, chiefly leopard seals and orcas. With less and less sea ice available in the rapidly-warming region, the seals are at increasing risk. If you would like to join the mission of marine conservation, visit sealegacy.org and join The Tide for more opportunities to get involved.